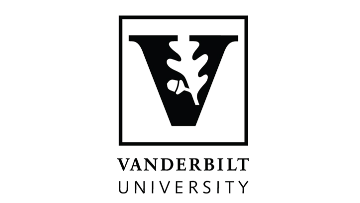 The Associate Vice Chancellor is part of the Office for Equity, Diversity & Inclusion (EDI) at Vanderbilt University and serves as a key member of the leadership team responsible for providing support, direction and guidance on achieving the goals of the Office for Equity, Diversity and Inclusion. Working with Vice Chancellors and other stakeholders, the Associate Vice Chancellor will play a key role in advancing equity, diversity and inclusion at Vanderbilt. Reporting directly to the Vice Chancellor for Equity, Diversity and Inclusion, the Associate Vice Chancellor for Equity, Diversity and Inclusion will serve as a thought leader in developing a support model of equity, diversity and inclusion at all levels and provide intellectual, strategic visionary and collaborative institutional leadership to facilitate an integrated vision and shared responsibility for advancing institutional goals and for fostering and affirming a campus culture to achieve the university goals surrounding equity, diversity and inclusion. Serve as a strategic consultant to senior administrators and department leaders to support diversity and inclusion efforts in their areas. Assist in creating an organizational culture (both within and across departments) that provides a safe, enriching and inclusive environment for faculty, employees and students and provides a qualified, competent team to meet those needs. This position has overall supervisory responsibility; this position reports administratively and functionally to the Vice Chancellor for Equity, Diversity and Inclusion. A Master’s degree in a related field from an accredited institution of higher education is necessary. 5+ years of experience designing and implementing equity, diversity and inclusion initiatives at an institution or organization of similar size and complexity is necessary. Advanced education/training in diversity-related field is necessary.